There are times when you have to take on a hole, and times when you need to ease off. 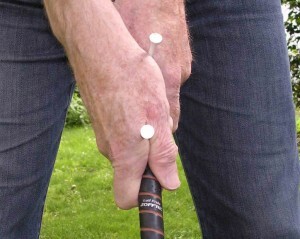 Knowing which holes are which will save you strokes. 1. Example 1 is a 359-yard par 4 that goes downhill off the tee to the halfway point, then uphill after a right turn to a shallow green. This green is thus meant to be approached with a short iron, but the tee shot is intimidating and makes a driver look like a risky choice, because: a fairway bunker will trap a ball that goes off the tee too far and straight. The proper tee shot is a fade, but if the ball bends too much, trees in the corner of the dogleg will surround the ball leaving no shot but a chip back out to the fairway. And, the gap between the bunker and the trees is none to wide. I had always laid up off the tee to be safe, but had a mid-iron into the green not designed to hold one. I seldom got a par. Two days ago, I hit my driver anyway just to see what would happen. The ball went into the trees, I chipped out sideways, but the tee shot with my driver had gone far enough that I had an 8-iron to the green. I hit on, and two putts later had an easy bogey. So I learned that on this hole, a bad tee shot would cost me one stroke, and a good one meant an easy par, whereas hitting short meant bogey, and a double if something went wrong. 2. Four holes later we’re on the tee of a 427-yard par 4, with water on the right, a slight dogleg right, with water in front of the green to its left, beside a generous lay-up area. Unless your drive is pretty long, you will have to hit off a rolling fairway (an uneven lie is a certainty) and over the water to get to the green. I hit my drive straight, but not as long as it could have been, and I was faced with a shot of about 175 yards over the water on the right, off a downhill lie, to get safely to the bail-out area. The green was out of the question. One of my primary playing rules is: never hit over water if you don’t have to. Since it was going to take two shots to get on the green anyway, I chipped 50 yards down the fairway so I could have a short iron over dry land into the green. I got on, took two putts for a bogey, and avoided a double or even a triple had I tried to cross the water with my second. Had my drive gone about twenty yards farther, I could have safely taken on the green. But sometimes, you have to do that discretion and valor thing. 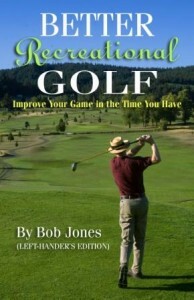 Millions of words of golf instruction have been written, including thousands on this web site. There is so much information to distill and absorb, it’s hard for anyone to make sense of it all. That’s what this post is for. Below are eighteeen words that tell you exactly what you need to do to become a shot-maker — someone who hits the ball well consistently and accurately. Everything I have read, heard, and been taught, boils down to these eighteen words. Numbers 1 and 2 are mental skills, not physical skills. Let your mind lead your body. Think these things just before you take the club away. Give the order once, then stay out of your way and let the right things happen. Number 3 means start with your weight on the left side and let not one ounce of it shift right; the right hand never passes the left. These principles are common to every short shot. You can practice this in your living room without a ball. Number 4 is the soul of the putting stroke. Listen and feel. Contact on the sweet spot sings a different song and is so soft in the hands. It’s what gives you control of the ball. Devote your practice to only these things. This is what to repeat 10,000 times. If I wanted to create a good golfer from scratch, this is all I would have him or her work on. Write these eighteen words down on a card to carry with you when you play. Look at the card before you hit any shot. Trust me. This is it. If you want to hit the ball as well as you can, it’s these eighteen words. It is that way, it always was that way, it will always be that way. 1. I really like 2s. When you put a 2 on your scorecard, everyone knows exactly what happened. A 3 could be anything; 4s and 5s look all right, but a 5 could be a double bogey. A 2 means only one thing. I like 2s a whole bunch. 2. 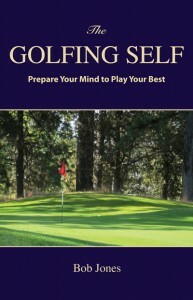 When you’re learning a new shot, it takes a good while practicing it at the range to be able to hit it on command. Only when you get that good at it would you want to use it when you play. The next thing you have to learn is when to use it when you play. You can easily make the mistake of using it when you shouldn’t, or not using it when you should. I have a great new short shot about which I made each mistake the first few rounds I played after I had it down. But that’s how you learn. 3. Play the shots you believe in regardless of what conventional wisdom says to do. Jack Nicklaus said that Arnold Palmer once told him to putt from the greenside fringe (I was going to say “frog hair,” but I’m not sure everyone would know what that word means), since your worst putt is always better than your best chip. Not if you know how to chip. Never give up. One good shot can make up for a lot of bad that has happened before. To hit more fairways and more greens, play a reliable fade. It’s an easy shot to hit, an easy one to repeat. Isn’t that what we all want in golf? Something that works which we can do time after time? 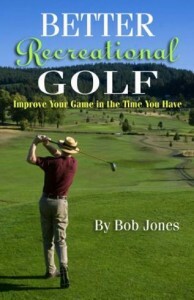 Many instructors say recreational golfers should learn to hit a draw. What they really want you to learn is an anti-slice swing, that gets you a little more distance to boot. Sounds good. But you don’t slice. You hit a draw that turns nasty without warning and it’s making you crazy. The clubface is closing at impact when you hit a draw, and moving in the same counter-clockwise direction as the clubhead. The swing naturally encourages you to close the clubface, but when these two factors compound each other, bad things happen. Set up with your clubface open just one or two degrees, and aim left. Take the club back slightly outside. Swing down at the ball slightly from the outside, rather than coming in low from the inside. Your drawing habits won’t let you actually come down from the outside, but rather from straight behind the ball with the clubface that bit open. Hold off your release a touch through impact, and you’ve got it. The ball will get off the ground nicely, curve gently to the right and land softly. You’re now hitting a marvelous control shot. Believe me, to make fairways and greens your game, this is the shot. This swing makes sense with your longer clubs, but from the 7-iron on down, you don’t really need to make these adjustments. Several things accompany a fade. I would imagine, if you play a draw, that you hit fat more often than you want to, because the clubhead comes into the ball from a relatively low angle. Even if you don’t take up turf, the ball first, ground second kind of contact is hard to achieve. With this fade swing, it’s as simple as putting the club on the ball, since the clubhead trajectory is steeper. Second, your swing will be easier to make. It’s literally, turn, turn. There are no complicated swing mechanics involved. You can use this swing for hitting your driver, a 70-yard pitch, and everything in between — the same swing. That really simplifies your shot-making. Finally, if you have back problems, this swing might be one to look into since the finish is very upright. You don’t have to twist your lower back through impact, or be all kinked up at the finish. A fade swing lets you stand tall and straight all the way through. What might seem like a drawback is that you won’t be releasing the club as strongly as before, which, in combination with higher ball flight, means you will lose a bit of distance. It shouldn’t be more than half a club, though. Given the revolution in accuracy in your shot-making, this is more than a fair trade. If you want to change your game from a hard 85 to an easy 80 (or less! ), play with a fade. Once you learn how to hit it, it’s hard to stop putting one ball after another out there where you want it to go. Today has to do with putting. 1. To acquire the feel for the length of the stroke needed to hit an approach putt, and thus the speed, I set up behind the ball looking directly at the hole. I then take a practice stroke that I know would send the ball ten feet. I take another stroke that would send the ball halfway to the hole from there, and another that would get the ball all the way to the hole. By sneaking up on the actual stroke in this way, proceeding in identifiable steps, I get a very good idea for how long to make the actual stroke because it is built on the foundation of knowledge that I gained using the practice procedure #3, below. 2. To make short putts, that is, putts of under eight feet, you must feel the speed, find the line, in that order, and step up to the ball aligned in your stance to the staring line of the putt. Now for the critical part. You must forget about the hole entirely and hit a straight putt of a given distance, just as if you were putting on your living room carpet. The existence of the hole beside you must vanish from your awareness. All that must be on your mind is the physical act of making that straight putt. If you do just that, you have set yourself up so the green will do the rest. Do not try to do the job of the green once you have found it. 3. Here’s a distance drill for you. Line up four balls and hit each one six feet, without looking where they go. You do this by closing your left eye and keeping it closed until you have putted all four balls. Line up four more and do it again. Repeat the drill to distances of nine feet and twelve feet. 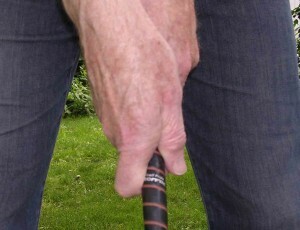 You don’t look at where the balls ended up until you are finished, to prevent you from subtly adjusting your stroke. The purpose of this drill is to memorize what a stroke that hits the ball these distances feels like. You may do the drill another day to fifteen, eighteen, and twenty-one feet. The right pre-shot routine in the short game maximizes the effectiveness of your shot. Here is a routine proposed by Paul Runyan, who is in the top five all-time of short game players. It’s taken from this book, The Short Way to Lower Scoring. 1. Check the lie. A successful shot depends on making solid contact with the ball. That is determined to a great extent by the lie. When the ball sits up on a lush cushion of grass, you can play with a level stroke. But lies with little grass under the ball, or a ball sitting down in lush grass, require you to pinch the ball — play it back of center and hit down more than level. 2. Visualize your shot. Consider where you want the ball to land and thus how much it will run out to the hole. The safest shots have minimum air time and maximum ground time. Under the right conditions, the ball does not have to land on the green before it starts its run-out. Runyan prefers maximum time on the ground, and so do I. 3. Choose the right club. From your chipping practice, you know how much the ball will run out relative to its flight when hit with every club from your 6-iron to your lob wedge. As for pitches, you know, again from your practice, how far your pitching clubs, 8-iron through lob wedge, will travel with the same stroke. When you have to pinch the ball, take out a more lofted club to make sure you get the club under the ball. 4. Rehearse the stroke. Make at least two rehearsal strokes. We can get away with less-than-perfect contact in our full shots, but in short shots, only perfection will do. Your practice swings both remind you of how you want to hit the ball, and set you up for the next step. 5. Duplicate your rehearsal stroke. When you hit the shot, you should have only this thought in your mind, to do the same thing that you just did. Trust your preparation and execute the shot with confidence. 3a. Line up the shot. Especially for chipping, where the ball will be running to the hole, regard the shot as an approach putt that might go in. Line up the shot to give it a chance, and if it doesn’t go in, you have only a short putt left. For longer pitches, there is no reason to leave the ball more than a few yards right or left of the hole. 4a. Believe in your stroke. If there is uncertainty of any flavor in your mind as you’re about to take the club away, stop and walk away. Choose another shot, one you can believe in, even though it might not leave the ball as close to the hole as you would like. The past few years I have written a U.S. Open preview about the course, the field, and all the usual things you want to read about in a preview, looking for some nugget of information or point of view that no one else has. This year I want to do something different. It’s because so much is being made of whether Merion East is obsolete as a championship course, with the USGA trying to let us know that it isn’t. This year is the 100th anniversary of Francis Ouimet’s victory over Harry Vardon and Ted Ray, the American kid beating the two English titans and putting American golf in the map. It was the equivalent of the (very) local phenom beating Tiger Woods and Phil Mickelson in an 18-hole playoff, and beating them decisively. The problem is, Ouimet won that Open not here, but at The Country Club in Boston, a course that truly is no longer suitable for championship play. But why here, is the puzzle. East Merion: so small, so short. The 2007 U.S. Amateur was held here as a test to see if modern hitters would overpower the course or whether it would hold its own. East Merion passed the test, and the green light was on for another Open. The course is historical, but it belongs to another time. The power game that is played now will not be evident. Last year there was so much fuss about Olympic, which was long enough, but so demanding off the tee that the driver would be taken out of play. East Merion is the same. The winner will have to play a precise round of golf four days in a row, and that hardly suggests we’ll see many drivers. That shouldn’t happen in the U.S. Open. This tournament is the toughest test of every club in the bag, every shot you have. To make arguably the most important club in the bag irrelevant goes dead against that concept. The course is so short that longer hitters on the LPGA circuit could compete. Why none of them tried to qualify, I’ll never know. The USGA is trying so hard to preserve golf as it was that they don’t see golf as it is: an evolving game that deserves to move away from its past while still paying homage to it. All this is not to say the the pros will have a field day this week. USGA greenskeepers could set up your local layout and protect par against a top PGA field. Golfers come and go. There’s no more Ben Hogan. Arnold Palmer doesn’t play in the Open any more, neither does Jack Nicklaus. We regret their passing while realizing that this is part of life moving on. There comes a time when history must be regarded as history, when we just have to let go. New golfers playing a different game deserve new courses that showcase that game. Older courses, built for older styles of golf, should be allowed to retire and be appreciated by the recreational golfers for whom they are still suitable. I love this course, and I wish it well this week. But after that, let’s start building new courses worthy of determining golf’s champion, and hold the competition at those places. See you in two years at Chambers Bay. Should you be hitting a driver? Go to the range and hit four 8-irons. Did you get similar-looking shots? They all had nice ball flight, and went where you were aimed? Didn’t hit any of them fat? Good. We’ll call those shots Pretty Much the Same. Hit four drivers. Did they all go Pretty Much the Same like your 8-iron shots did? Even two of them? No? If not, if every one of them was different, then you shouldn’t be hitting your driver. Start with your 9-iron and work your way through your bag, one club at a time, hitting four balls with each club. The longest club with which you can hit three out of four shots Pretty Much the Same (and straight) is the longest club you should be using off the tee. 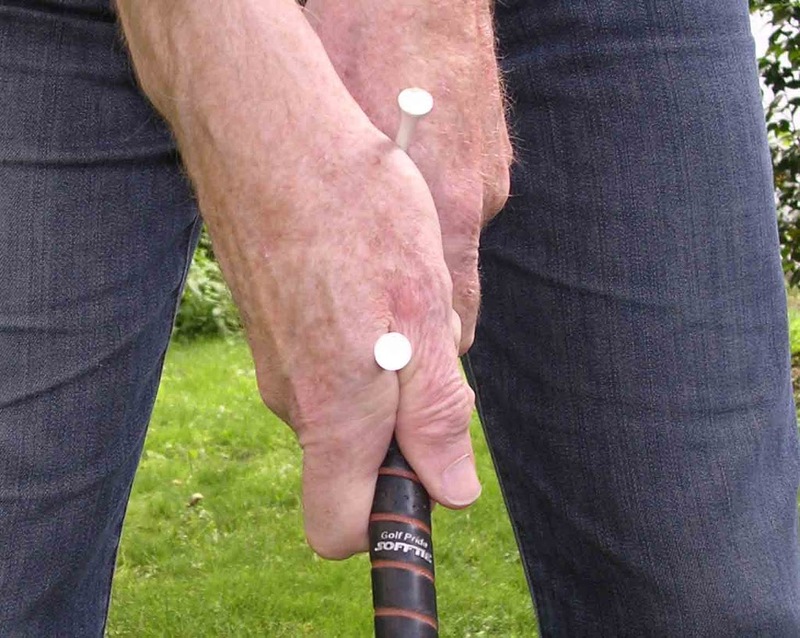 You can save at least three strokes per side without even hitting the ball. Here is how I lost four in eleven holes yesterday. I’m still playing abbreviated rounds while I recover from my two back surgeries of a year ago. My gas tank isn’t very big yet. So yesterday I went out with two friends, and played 1, 2, 3, 4, 7, 8, 9, 10, 14, 17, and 18. The course we played is laid out so it is easy to take breaks at these points. On the first hole, I had an easy chip for my par and left it way short. I just got too careful instead of hitting the chip like I do in practice a 100 times each week. 1. On the second hole, I got shy again, and left a made-to-order 90-yard chip 15 yards short and in a bunker. 2. On the eighth hole I hooked my drive into a bad lie. Instead of hitting out with an 8-iron to take my bogey, I tried for the whole show with my 4-hybrid. One bad stroke led to another. 3. On the tenth hole, I mis-aligned my drive and hit it way right. I misaligned my pitch into the green and hit it way left. I scored the Trifecta by getting shy (again!) with a garden-variety chip. 4. Four shots lost that had nothing to do with ball-striking and everything to do with not using my head. I was six over for those eleven holes and could have been only two over without breaking a sweat. Believe me, I will make the most of these object lessons.